Adam Clark Curry (born September 3, 1964) is a podcaster, announcer, internet entrepreneur and media personality, known for his stint as VJ on MTV and being one of the first celebrities personally to create and administer Web sites. Now known mostly for co-hosting the No Agenda show, in the 2000s, he first became involved in podcasting, and has been called the 'Podfather' because of his efforts. 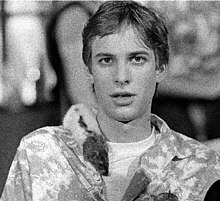 Adam Curry in 1984 with a New Guinean rat. Curry was born in Arlington, Virginia, but lived in Amstelveen, Netherlands, from 1972 to 1987. After a time working in Dutch pirate radio at Radio Picasso in Amstelveen and Radio Decibel [nl] in Amsterdam in the early eighties under the pseudonym "John Holden", he got a break in broadcasting as the host of the Dutch weekly pop-music television program Countdown, and the English version of the same show, which was broadcast on pan-European music channel Music Box. He also hosted several other radio and television programs for the Dutch broadcast station Veronica. Aside Countdown, in the Netherlands Adam Curry is mostly known for his part in the Curry and Van Inkel radioshow (together with Dutch DJ Jeroen van Inkel), broadcast on Radio 3 for Veronica between 19:00 and 22:00 on Friday. In 1987, Curry became a VJ for MTV. Besides making spot appearances between music videos, he was also host of the programs Headbangers Ball and MTV Top 20 Video Countdown in which he interviewed stars like Michael Jackson and Paul McCartney. While working for MTV, he also did radio work, including drive-time host for the New York City radio station WHTZ, and host of the national program HitLine USA. Curry hosted the radio countdown show "Adam Curry's Top 30 Hitlist" for Entertainment Radio Networks from November 1991 to June 1994. Curry registered the then-unclaimed domain name "mtv.com" in 1993 with the idea of being MTV's unofficial new voice on the Internet. Although this move was sanctioned by his superiors at MTV Networks at the time, when Curry left to start his own web-portal design and hosting company, OnRamp Inc, MTV subsequently sued him for the domain name. OnRamp eventually grew to 4,000 employees and was sold to Think New Ideas Inc., another company that he co-founded, becoming Chief Technology Officer of Think. In 1996, as the Internet was undergoing its "bubble", the company made an initial public offering on NASDAQ under the ticker symbol THNK. It subsequently grew to employ over 7400 people and with offices in seven countries, and was absorbed into Answerthink Inc., in a later merger. In 2005, Curry founded a video sharing site called PodShow, which later changed its name to Mevio, with Ron Bloom. In May 2008, Mevio claimed to have reached 9 million unique visitors. It offers advertisers "brand safe" content on a large scale. It raised a US$15 million third round in July 2008, bringing the total amount it has raised since its launch to over US$38 million. Mevio later rebranded as Bitesize Entertainment and ultimately BiteSizeTV, located in Los Angeles, CA. After selling his business in the U.S., Curry and his family moved to the Netherlands in 1999, where Curry hosted a morning talk/music show for Radio Veronica. He also landed various television assignments and his family briefly starred in the reality show Adam's Family. Curry and two business partners founded the multimedia company United Resources of Jamby in 1999. It was to act as an incubator and cultivator for new internet-related businesses. The business was ultimately unsuccessful. Curry's participation in Kennisnet, another venture to introduce the Internet to Dutch schools, ended in a bitter argument and lawsuits. Sportus.nl, an online webshop in collaboration with Dutch athletes like Marcel Wouda, Jacco Eltingh, Ron Zwerver and Daniëlle Overgaag, started in 1999, went bankrupt in 2001. Another content exchange project, Freedom Controller, was cancelled in 2002. In 2000 he and business partner Simon Cavendish, a participant in his earlier ventures, founded the RotorJet company to offer helicopter services. The company filed for bankruptcy in 2005. In the subsequent dispute, Cavendish seized the assets of the company, and in April 2005, Curry was ordered by a Dutch court to repay approximately US$3 million that he had withdrawn from RotorJet. In 2002 he produced and starred in the reality soap Adam's Family: een kijkje in het leven van de familie Curry which was aired by the Dutch SBS6 network. Curry founded PodShow, now Mevio, with his business partner Ron Bloom, in January 2005. PodShow is a podcast promotions and advertising company that encompasses the Podshow Podcast Network, the Podcast Delivery Network, and the Podsafe Music Network. Some of Podshow's top podcasts are Curry's own Daily Source Code, The Dawn and Drew Show, and GeekBrief.TV. From June 2005 to May 2007, Curry hosted a weekday evening show on Sirius Satellite Radio called 'Adam Curry's PodShow'. In late 2005 Curry was caught making anonymous edits to the Podcast Wikipedia page, deleting several sections concerning contributions made by fellow podcasting pioneers, Kevin Marks and Stephen Downes, while adding material that emphasized his own involvement with the development of the medium. Curry went on to evoke ignorance as his primary defense stating, "I edited out the Marks part previously because I never saw a full front-to-back solution that he was credited for...Once I saw the video of the session where he does demo it, after saying he had spoken to me and I had 'challenged' him to create it, I realized I was in error." He also claimed to have difficulty with the Wikipedia interface, claiming he had originally planned to revise the paragraphs to include his recollections of events but instead became "exasperated" with the process and decided to give up. Since October 2007, he has hosted the twice-weekly podcast the No Agenda Show with John C. Dvorak, discussing recent news whilst deconstructing mainstream news media. The podcast does not accept any advertising and is solely supported by the listeners. Curry has heavily promoted his podcasting endeavors. He promoted his podcast Daily Source Code in Second Life under the name 'Adam Neumann', along with a Second Life island called Podshow Island. Curry used podcasting to endorse 2008 Republican Presidential hopeful Ron Paul. He also uses his show to discuss alternative takes on topics in the daily news, as well as offering up topics of discussion that are "off the beaten path", such as Free energy suppression and the 9/11 Truth Movement. Curry is widely credited for popularizing the podcast medium. As Annalee Newitz noted in Wired, "Every new medium needs a celebrity, and Curry is happy to fill that role." In February 2006, Curry sued the Dutch tabloid Weekend for reprinting photos from his Flickr page and publishing details about his daughter. The photos were released under a version of the Creative Commons license that forbids commercial use and requires acknowledgement, but the tabloid printed a few of them without contacting Curry. The verdict did not award Curry any damages, but forbade the tabloid from reprinting the photos in the future, setting a fine of €1,000 for each subsequent violation. It was one of the first times the license was tested in court. In May 2009, Curry posted on his blog that another Dutch tabloid had published another Creative Commons-licensed photo from Curry's Flickr account. After Curry asserted Creative Commons license requirements, the publisher settled on Curry's terms. Since 1999, Curry has, at one time or another, lived in Belgium, Guildford, London, San Francisco, Los Angeles, and Austin. Curry was married to Dutch television/radio personality Patricia Paay from 1989 to 2009. They have a daughter, Christina. In July 2012, Curry married Dutch model and photographer Micky Hoogendijk. They lived in Austin, Texas. On January 29, 2015, Curry announced on the No Agenda podcast that he and Hoogendijk had separated. Hoogendijk and Curry divorced in 2015 and he is currently living in Austin, Texas. Curry is the nephew of former CIA official and United States Ambassador to Korea, Donald Gregg, whom he calls "Uncle Don" in his podcast. ^ "A Chat with Adam Curry". verbosity. Retrieved 2 August 2011. ^ Harmanci, Reyhan (17 May 2006). "How an ex-VJ transformed conventional media into the vox populi. Ever hear of podcasting?". sfgate.com. Hearst Communications Inc. Retrieved 11 October 2015. ^ "LAtimes". Archived from the original on 2008-08-27. Retrieved 2007-09-09. ^ Curry, Adam (30 June 1994). "A warning about ERN network!". www.redwaveradio.com. Retrieved 13 July 2018. ^ "MTV vs. Curry". Archived from the original on 1 April 2007. Retrieved 2007-03-28. ^ "Mevio, Formerly PodShow, Raises $158 Million Third Round". Retrieved 2008-07-09. ^ "Mevio becomes Bitesize Entertainment". Retrieved 2 January 2015. ^ "Bloom settles in Hollywood with BiteSizeTV". Retrieved 2 January 2015. ^ "Adam's Family". IMDB. Retrieved 2006-12-05. ^ Wilbert de Vries (2003-05-16). "Problems for Kennisnet" (in Dutch). Retrieved 2007-03-28. ^ "Nieuwe sportwinkel mikt op Europese markt" (in Dutch). Sportus.nl. December 16, 1999. Archived from the original on 2007-02-28. Retrieved 2006-12-05. ^ Ad Mulder (2001-01-23). "Interview with Adam Curry where he speaks about his Peer2Peer video sharing program Freedom Controller" (in Dutch). Retrieved 2007-03-28. ^ Maarten Reijnders (2002-12-19). "Freedom Controller canceled, Jamby B.V. chapter elevened" (in Dutch). Retrieved 2007-03-28. ^ "Dutch Legal document on the RotorJet case" (DOC) (in Dutch). Retrieved 2007-03-28. ^ Miller, Martin (2006-05-25). "'Podfather' plots a radio hit of his own : LA Times". PodShow, Inc. Archived from the original on 2008-08-27. Retrieved 2006-12-05. ^ "SIRIUS Satellite radio partnering with Adam Curry" (Press release). SIRIUS Satellite Radio. Retrieved 2007-03-28. ^ "Sirius and Podshow end their contract". April 24, 2007. Retrieved 2007-11-21. ^ Terdiman, Daniel (2005-12-02). 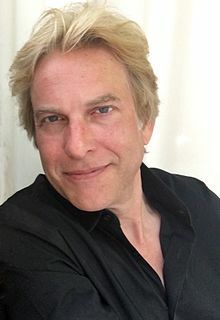 "Adam Curry gets podbusted | News Blogs - CNET News". News.cnet.com. Archived from the original on 2013-01-19. Retrieved 2013-09-20. ^ Curry, Adam (2 December 2005). "CURRY.COM: Adam Curry's Weblog". Archived from the original on 8 December 2005. Retrieved 7 February 2015. ^ Sekiya, Baron (2006-05-03). "Adam Curry discovers Second Life". MediaBaron.com. Archived from the original on 4 November 2006. Retrieved 2006-11-28. ^ Lewin, James (28 December 2007). "Podfather Adam Curry Backing Ron Paul". Archived from the original on 31 May 2008. ^ Daily Source Code Episode 781, "Confessions of a multimedia hitman"
^ "Adam Curry Wants to Make You an iPod Radio Star". Wired. March 2005. Archived from the original on 9 February 2007. Retrieved 2007-02-11. ^ Garlick, Mia (2006-03-16). "Creative Commons Licenses Enforced in Dutch Court". Creative Commons. Retrieved 2006-12-05. ^ a b Marsen, Ingrid (March 21, 2006). "Creative Commons license upheld by court". cnet. Retrieved 2009-03-28. ^ Curry, Adam (2009-05-29). "Defending Creative Commons, Again". Archived from the original on 6 June 2009. Retrieved 2009-05-31. ^ Linksvayer, Mike (18 June 2009). "Adam Curry wins again!". Creative Commons. Retrieved 20 September 2013. ^ Curry, Adam. "No Agenda Episode 691 - "Ten Minute Timer"". curry.com. Adam Curry. Retrieved 30 January 2015. ^ "Tina Snider: I said YES". Twitter. 26 December 2016. Retrieved 4 March 2017. ^ Tina, Snider. "Tina Snider: "No longer a girlfriend. Now a fiancé."". Twitter. ^ "Adam Curry's Weblog". Radio-weblogs.com. 2003-07-19. Retrieved 2013-09-20. Wikimedia Commons has media related to Adam Curry.